Five professors received the Alexander Quarles Holladay Medal for Excellence, the highest faculty honor bestowed by the trustees and NC State University. The 2015 honorees are Roger Barker, Burlington Distinguished Professor, College of Textiles; Salah M. Bedair, professor of electrical and computer engineering, College of Engineering; Hugh Devine, professor of parks, recreation and tourism management, College of Natural Resources; Trudy Mackay, William Neal Reynolds and Distinguished University Professor of Genetics and Entomology, College of Sciences; and Coby Schal, Blanton J. Whitmire Distinguished Professor, College of Agriculture and Life Sciences. The Holladay Medal is named for Col. Alexander Quarles Holladay, the university’s first president. It recognizes career contributions of faculty members in teaching, research and service. Winners receive a medal and a framed certificate, and their names are inscribed on a plaque in the NC State Faculty Senate chambers. 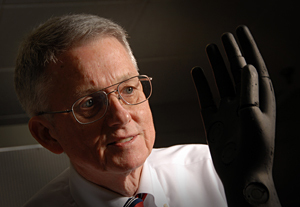 Roger Barker with Pyrohands, a device used for testing fire-resistant gloves. Barker, an expert in textile measurement technologies, is founding director of the Textile Protection and Comfort Center, which provides research services to industry, emergency workers and military personnel. His work has been incorporated into international standards for protective gear for firefighters, hazardous materials crews and emergency medical technicians. 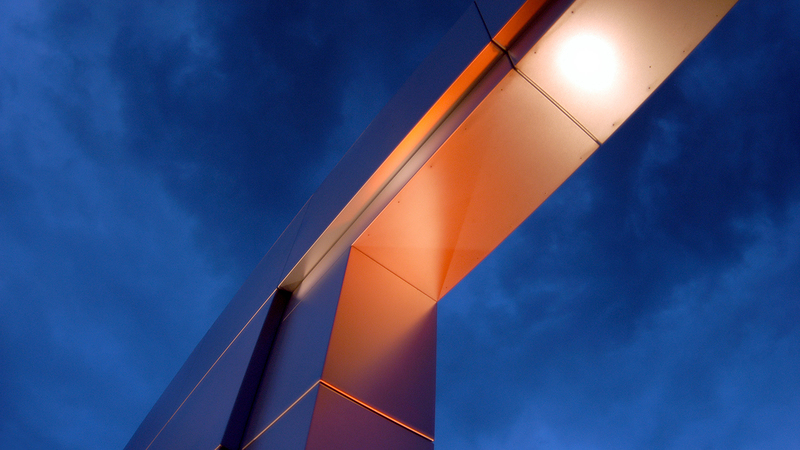 Through his leadership, T-PACC provides $25 million in infrastructure to support teaching, research and outreach. A recipient of the Outstanding Teacher and Board of Governors Teaching Award in the College of Textiles, he has chaired or co-chaired the graduate research of more than 50 master’s and doctoral students. 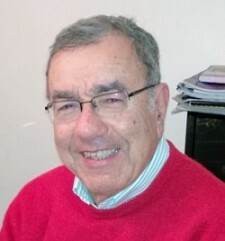 Bedair is a scientific pioneer who has significantly advanced four different areas of electrical and computer engineering. His research on solar cells, light-emitting diodes, atomic layer deposition and spin electronics is having a major impact on development of new, innovative devices for energy applications. These contributions affect our everyday lives and point the away to future renewable and efficient sources of energy. A faculty member for 37 years, Bedair has published more than 400 articles, attracted $25 million in research funds and graduated 46 Ph.D. students. Hugh Devine and Perver Baran go over stormwater maps. 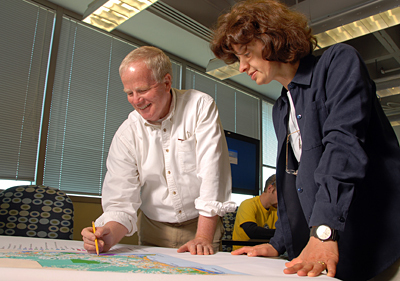 Devine, an innovator in geospatial analysis, has been instrumental in bringing technology-enhanced education to NC State. He helped found the university’s Center for Geospatial Analytics and developed the Cooperative Ecosystems Studies Unit for collaborative work with federal agencies. His research program has increased understanding of wildfires, natural disasters, drinking water and resource protection, forest management and food safety. He and his students have provided GIS analysis for over 50 nonprofits. A 2011 Alumni Distinguished Graduate Professorship recipient, he has graduated more than 80 Ph.D. and master’s students and 200 professional science master’s and graduate certificate students. 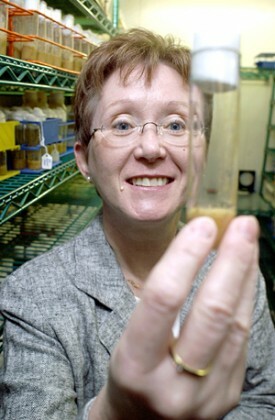 Mackay, an internationally known specialist in quantitative genetics, was elected to the National Academy of Sciences in 2010 for her research on how physical and behavioral traits are affected by genes and the environment. 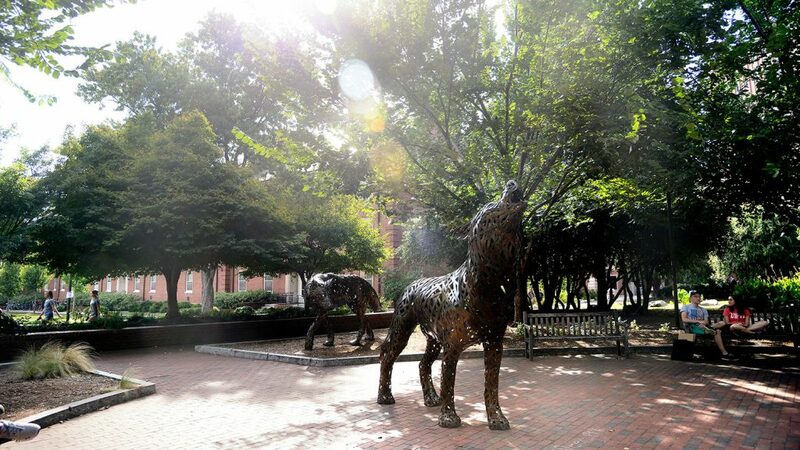 Since joining NC State in 1987, she has secured multiple, overlapping grants for research and training programs. She serves as principal investigator of the Initiative for NC State’s Maximizing Student Diversity program and as director of the universitywide program in genetics and Initiative for Biological Complexity postdoctoral program. She teaches a number of graduate courses and has mentored 25 graduate students and 31 postdoctoral fellows. She is a former editor-in-chief of Genetics Research and past president of the American Genetics Association. 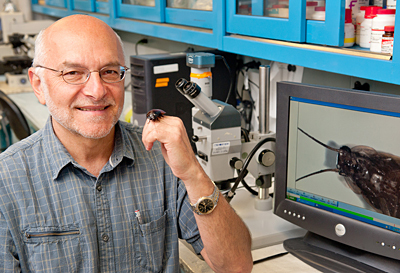 Coby Schal does basic and applied research on arthropod pests such as this cockroach. Schal is one of few entomologists to make distinguished contributions in both basic and applied research, ranging from molecular biology and genetics to ecological and behavioral interactions. His research focuses on roaches, ants, termites and other arthropod pests of homes and human-built structures. He is an elected member of the American Association for the Advancement of Science and a fellow of the Entomological Society of America. He helps young faculty establish their programs and inspires students with coursework on animal behavior and physiology. He has been a thesis adviser for 20 Ph.D. and nine master’s degree students. As a Design and Construction Services’ Facility Architect, I have had a great pleasure working with Dr. Hugh Divine on the renovation project at Jordan Hall: Viz Lab. Congratulations on the award and recognition. You inspire us all.